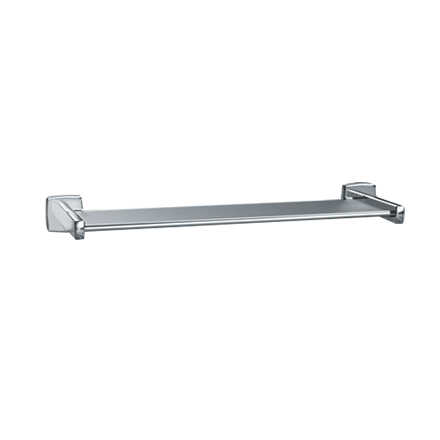 Shelf, 5″ (125 mm) wide, extends 6 1/8″ (155 mm) from wall. Edges are roll-formed for safety. Available in 18″ and 24″ (457, 610 mm) lengths.